The story of a Philadelphia aristocrat—educated at Princeton, then Harvard—who refused to wait for the United States to join the Great War but instead joined it himself, as a private, eventually rising to the command of air groups . . . 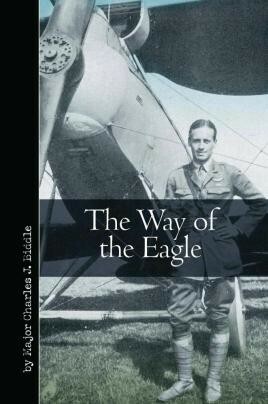 In The Way of the Eagle, Philadelphia native Charles Biddle 's account of flying in World War I, we have a classic aviation memoir, long out of print, that provides new insights into America's participation in the Great War. Biddle volunteered and was active in France from 1917, where he flew as a volunteer, initially for the French in Escadrille 73, and then in the American 103rd Aero Squadron (the Lafayette Escadrille), and then the 13th Aero Squadron and 4th Pursuit Group (which he commanded). His memoir was published shortly after his return to the United States and so provides an immediacy that is lacking in other books that were written later. It is important in that accounts of U.S. pilots from this period are relatively rare, even as he also paints a compelling picture of a group of Americans fighting as volunteers for the French. Biddle's U.S. compatriots soon established their own capability and wrung free of French direction—and as this book reveals it was largely because of their combat prowess. For his service Biddle was awarded the French Legion of Honour, the Croix de Guerre, the American Distinguished Service Cross and the Belgian Order of Leopold II. After the war, Biddle rejoined his family law firm in Philadelphia. He died in 1972. ...will give a new generation first-hand accounts of flying a SPAD in a whirling dogfight with Fokkers and Albatros...thoroughly recommended. The accounts read like a 'Boys Own' style comic and are very entertaining.